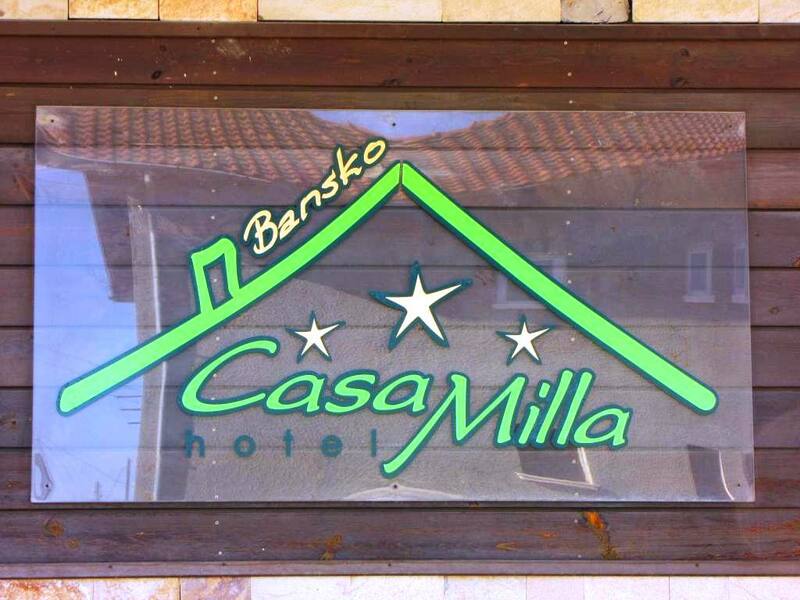 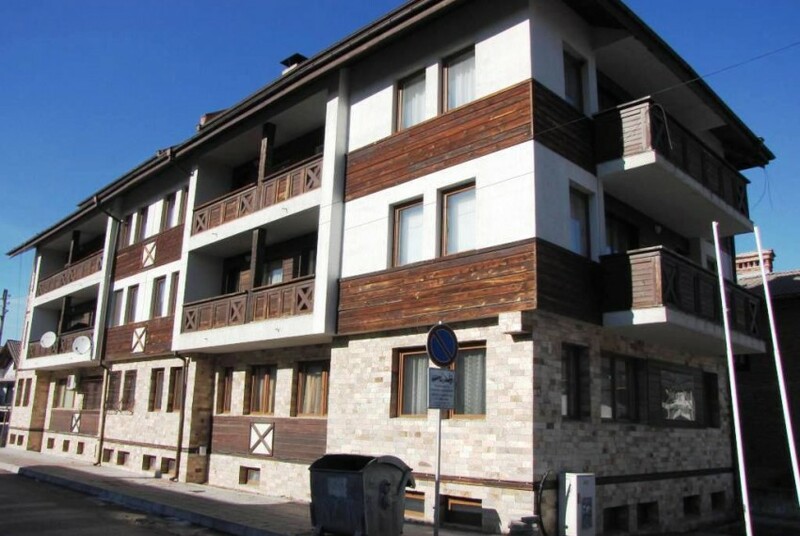 This spacious 2 bed apartment for sale in Bansko is situated in the Casa Mila development. 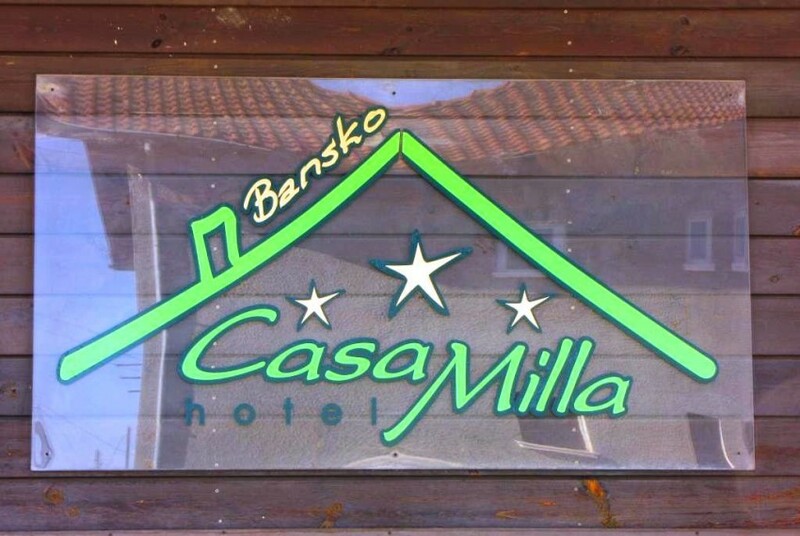 Casa Mila is located on the west side of the river near the ring road and is in a quiet residential area. 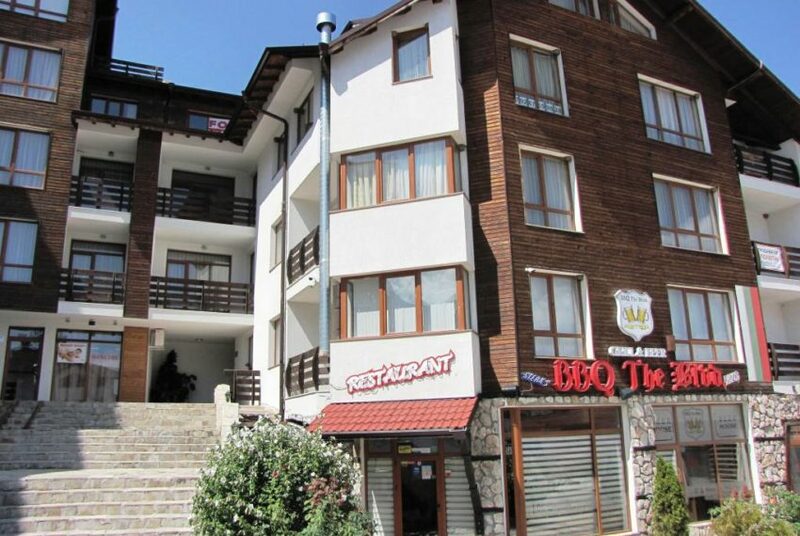 There are local shops and bars nearby and it is less than 10 minute walk to the Gondola/Ski Lift. 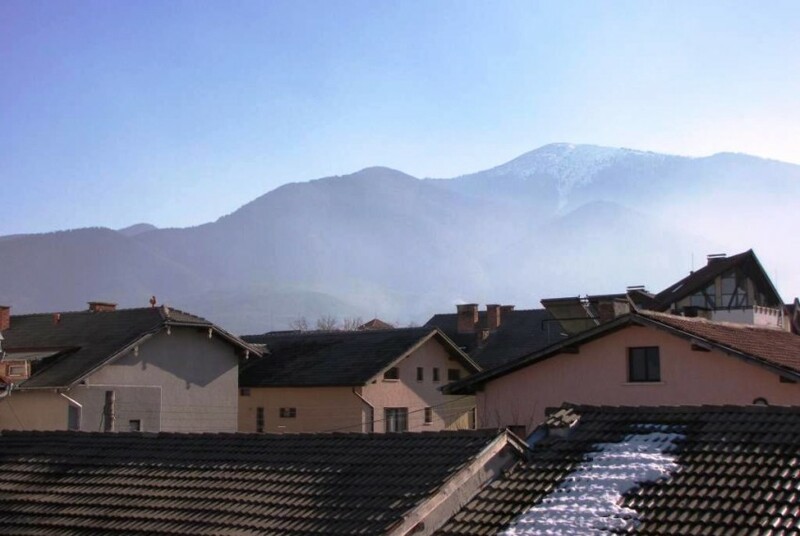 The old town is less than a 5 minute walk. 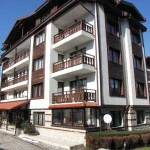 The development is residential and has no Spa facilities. 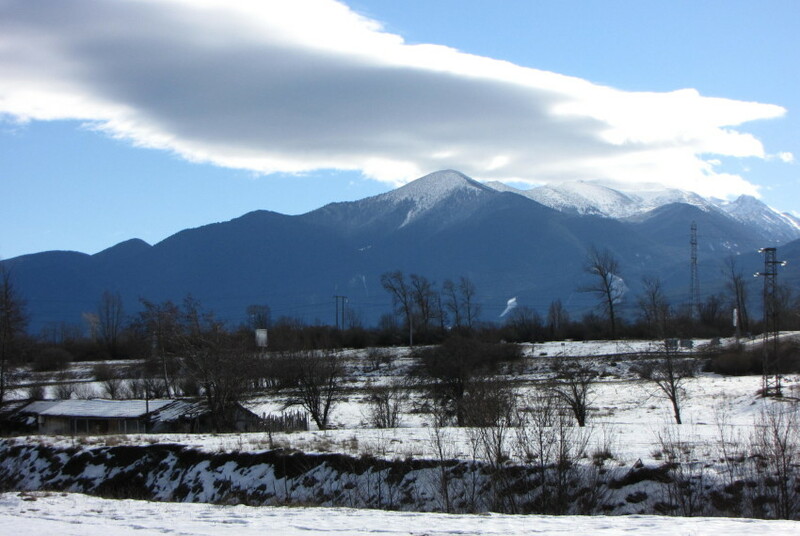 There are plenty of Spas in Bansko that you can use on a ‘pay as you go’ basis. 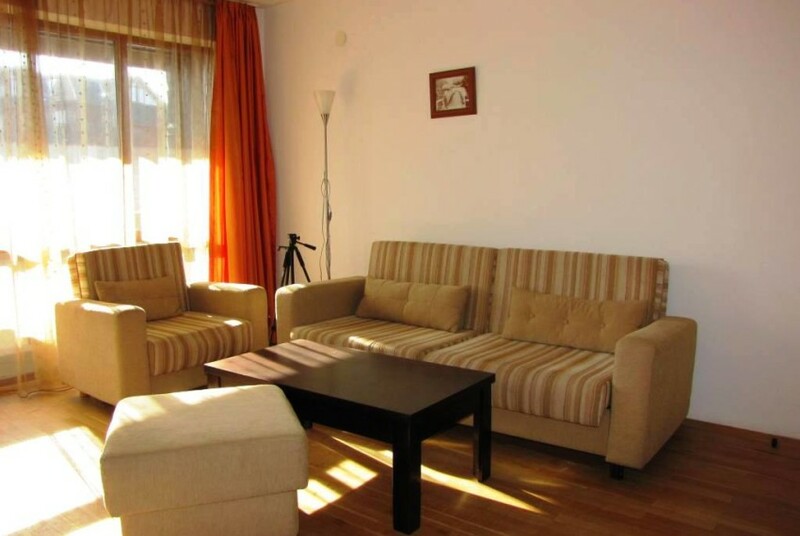 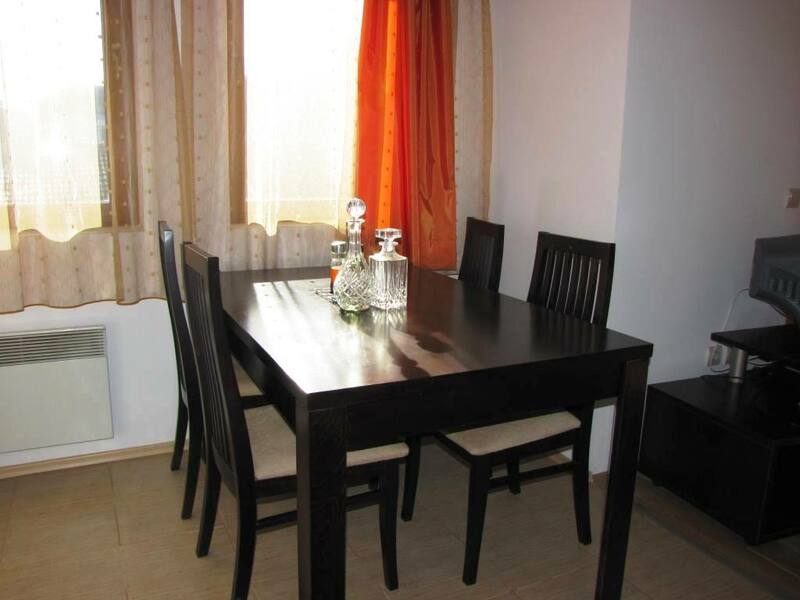 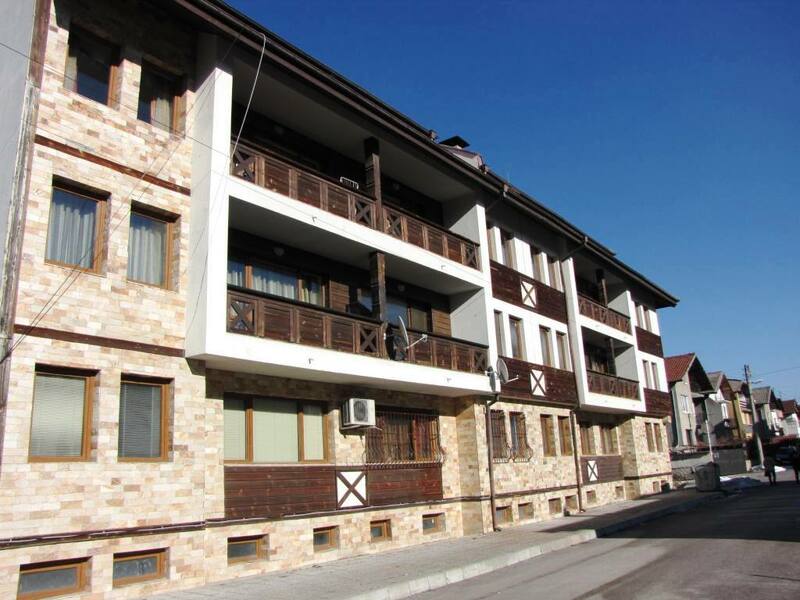 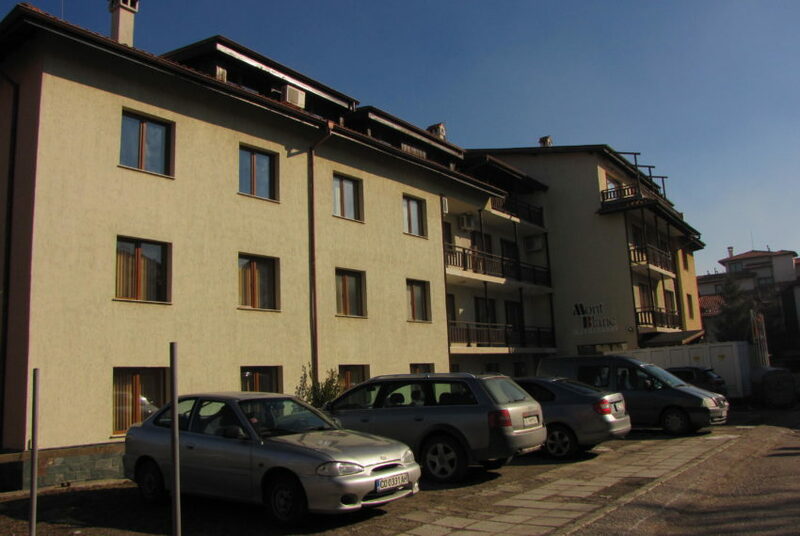 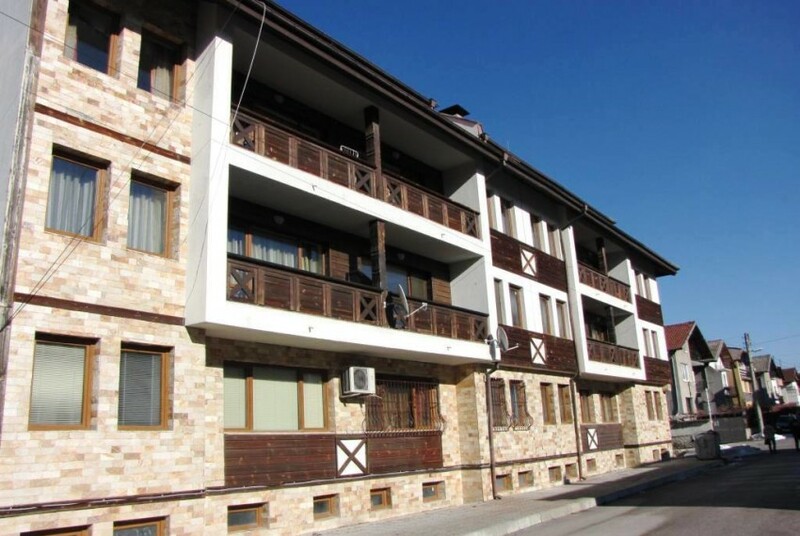 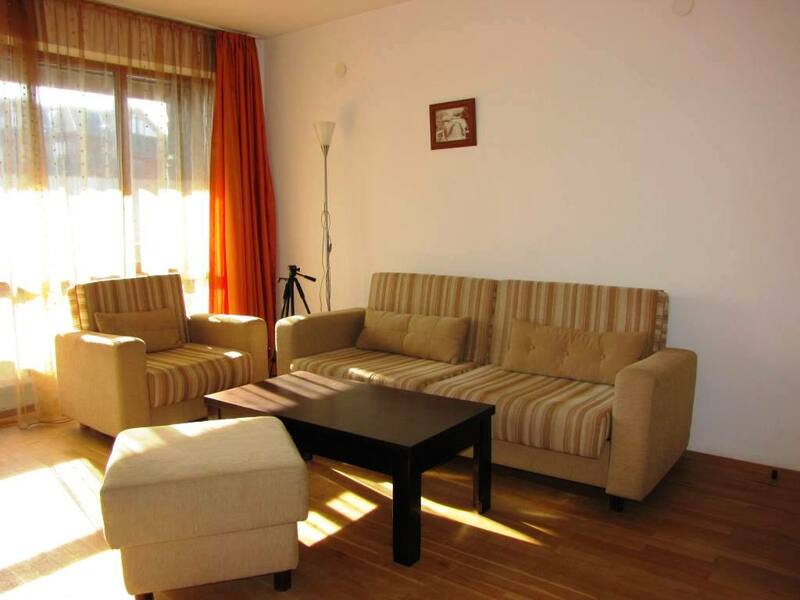 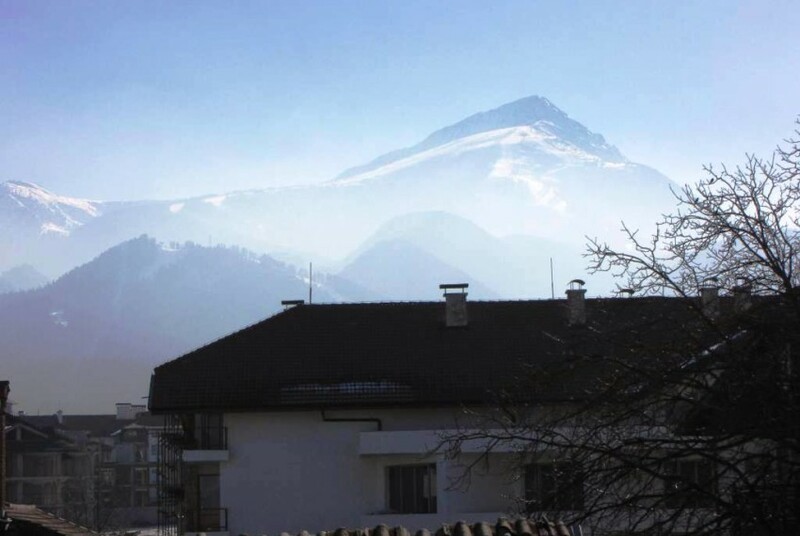 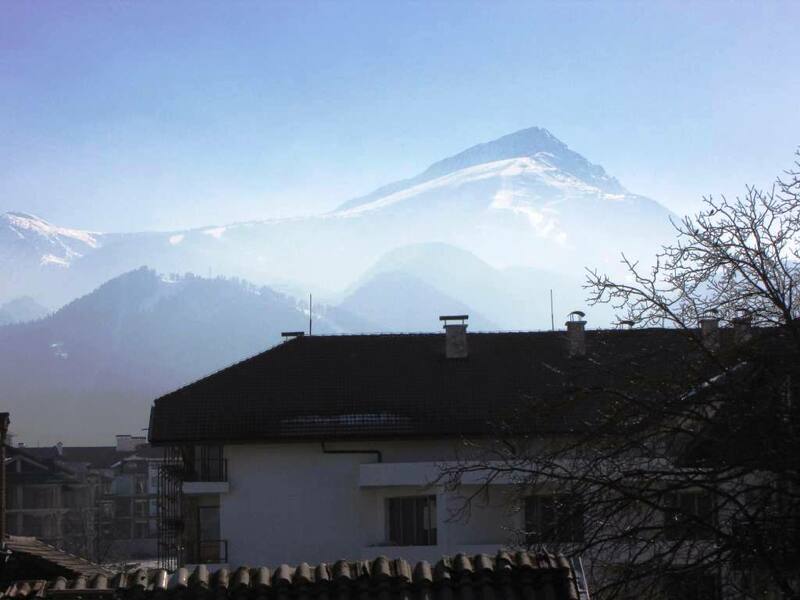 This spacious 2 bed apartment for sale in Bansko is perfect for permanent living or long holidays. 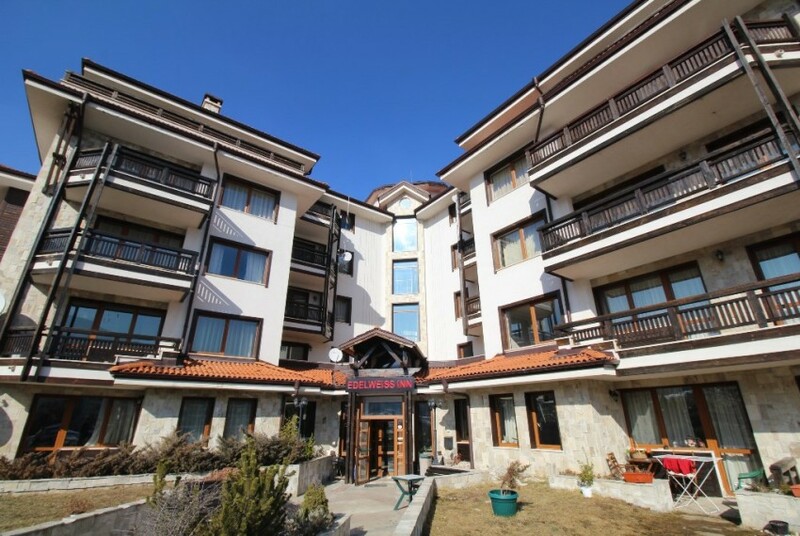 This 3rd floor apartment feels spacious at 92.93m2. 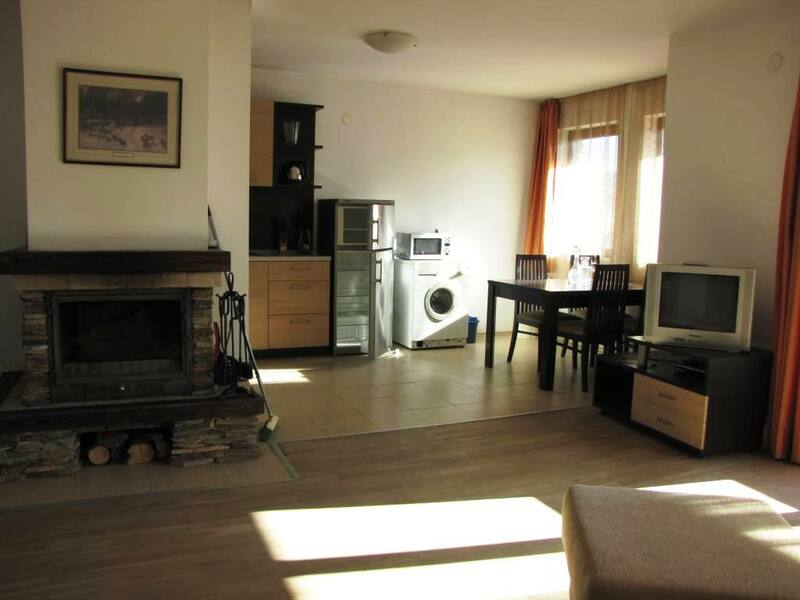 It benefits from lots of natural light with the living area and kitchen facing south. 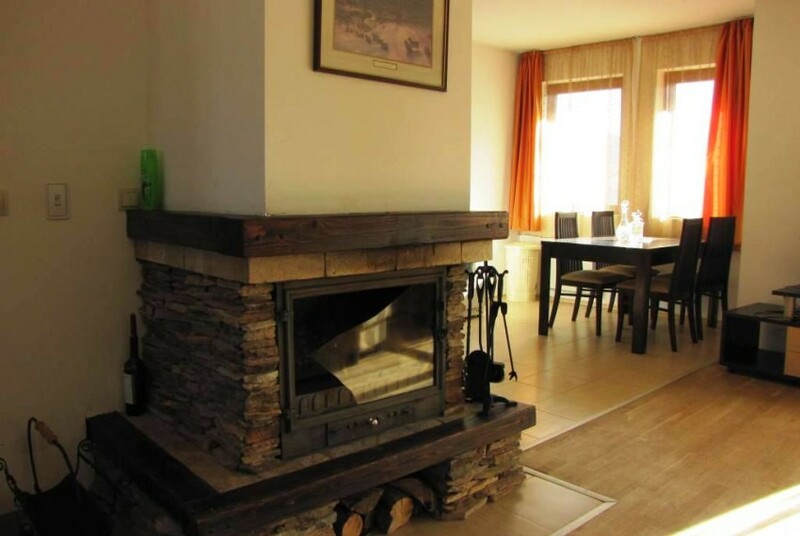 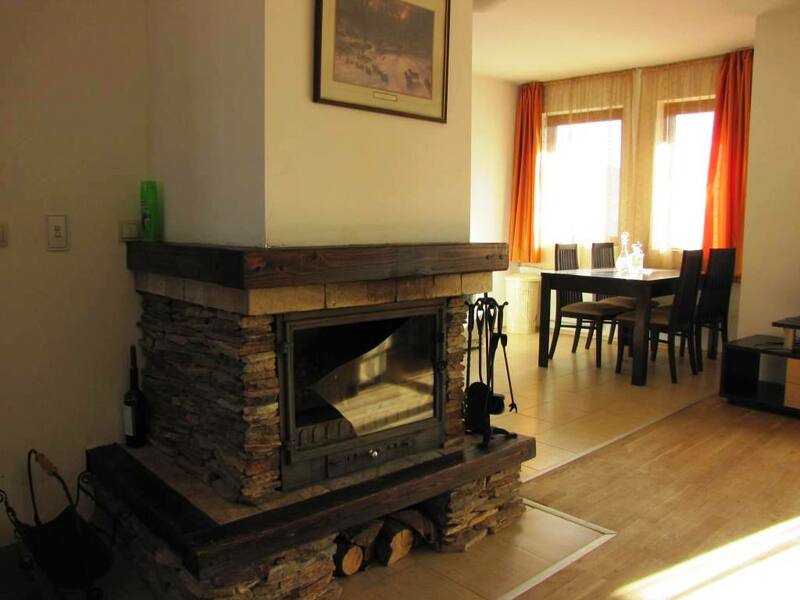 The apartment has a lovely natural stone feature fireplace in the living area which heats the apartment effectively. 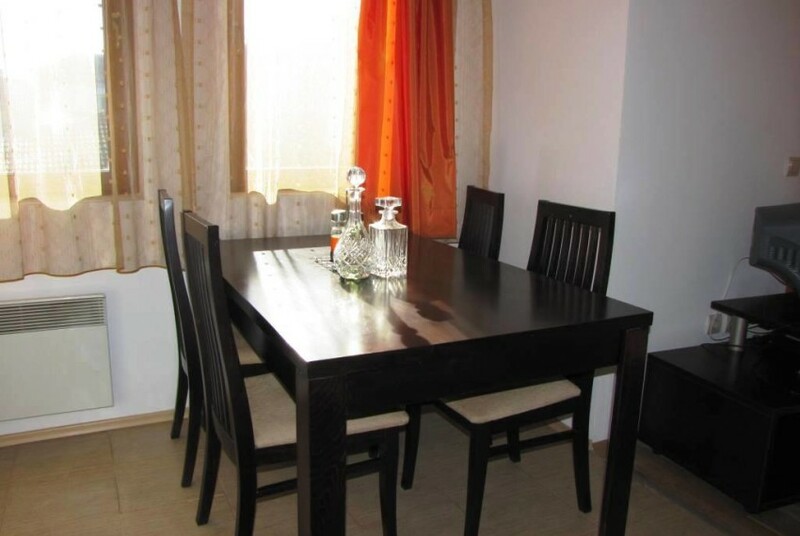 There is real wood flooring througout except the kitchen area which has tiled flooring. 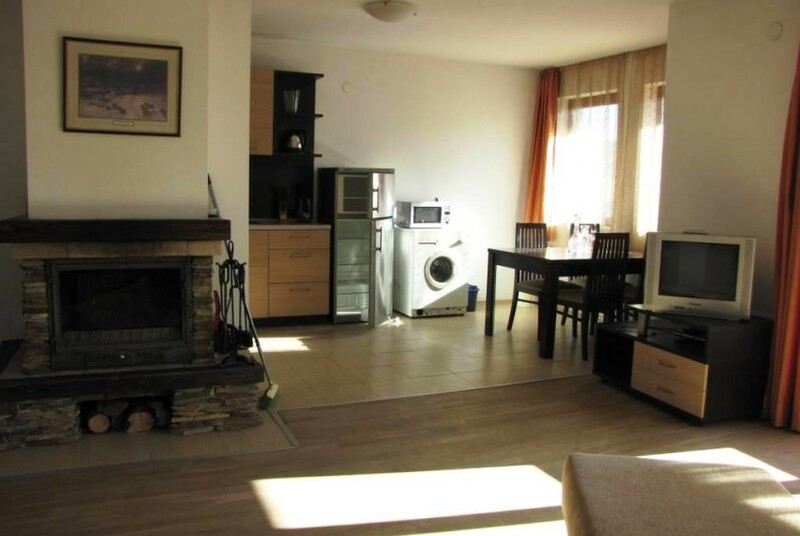 The large living area has a very good sized kitchen set off to the side. 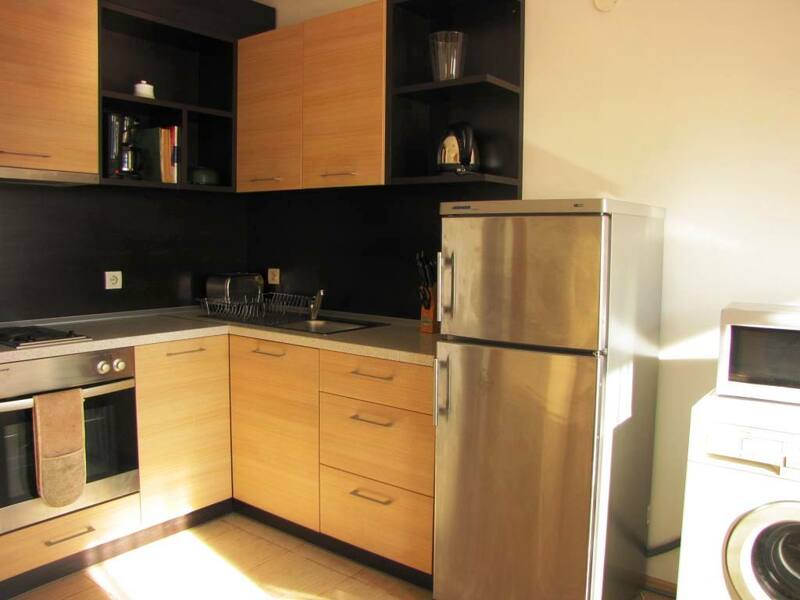 The kitchen is well equipped and has a full sized fridge freezer and a washing machine also. 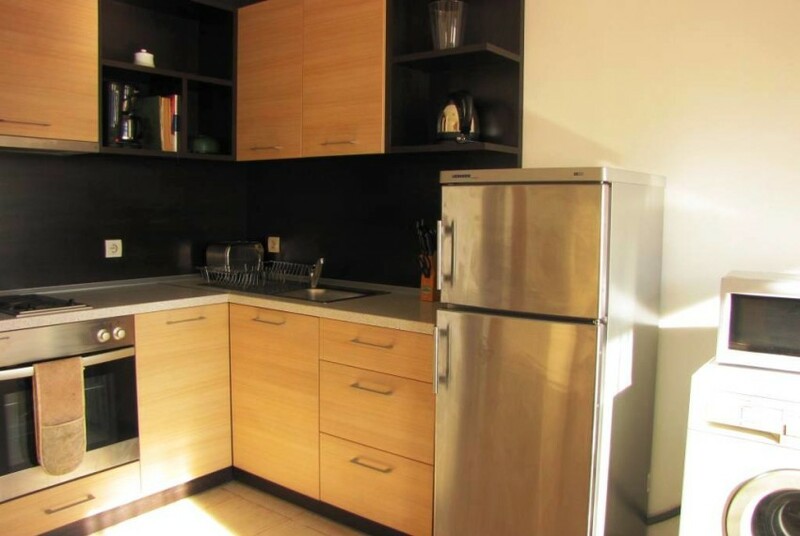 There is a corner in the kitchen with a dining table and chairs. 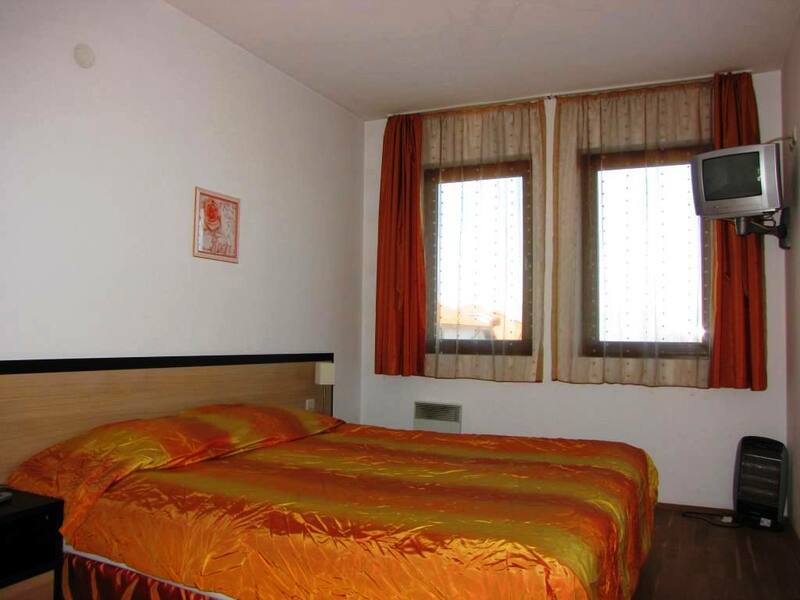 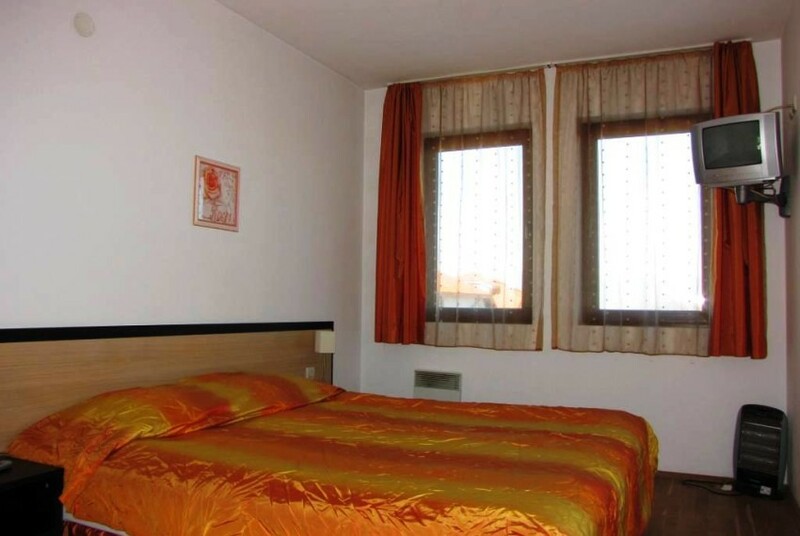 Both bedrooms are double bedrooms with plenty of space for double bed, wardrobe and dresser. 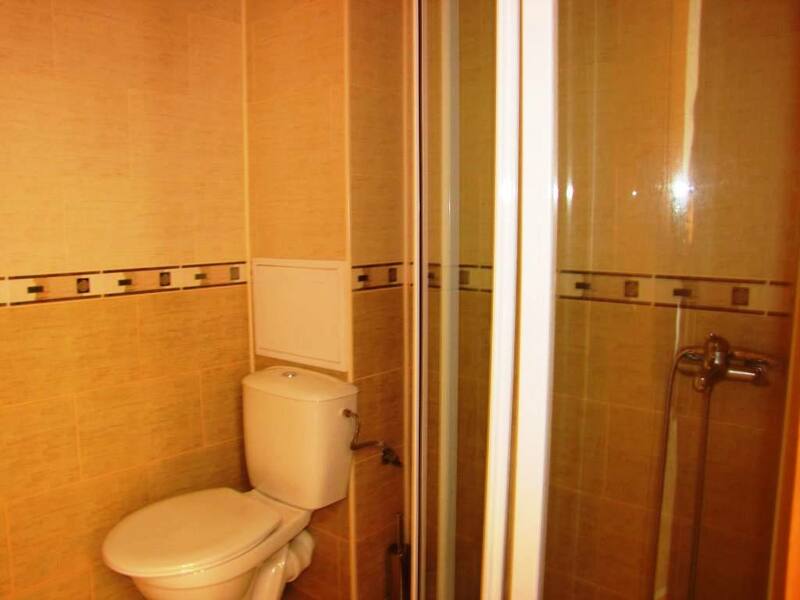 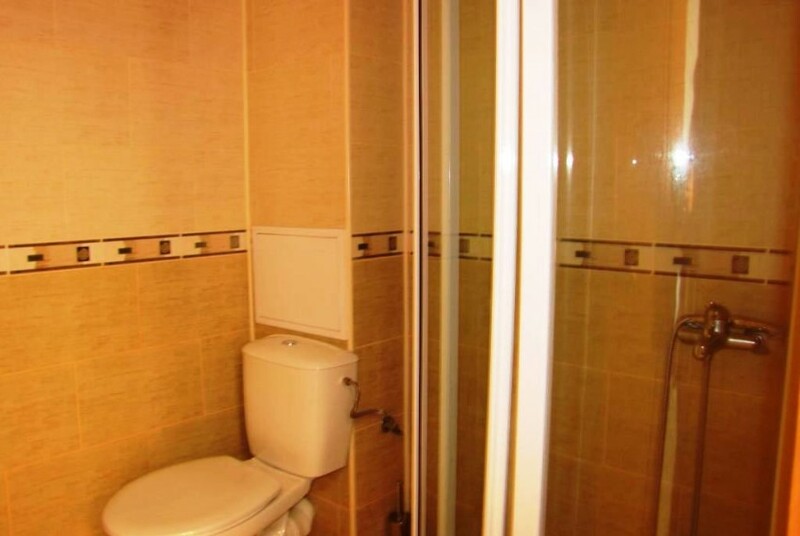 The bathroom has a shower unit, toilet and wash basin. From the lounge is a good sized balcony facing south with fantastic views to the ski slopes and surrounding mountain range. 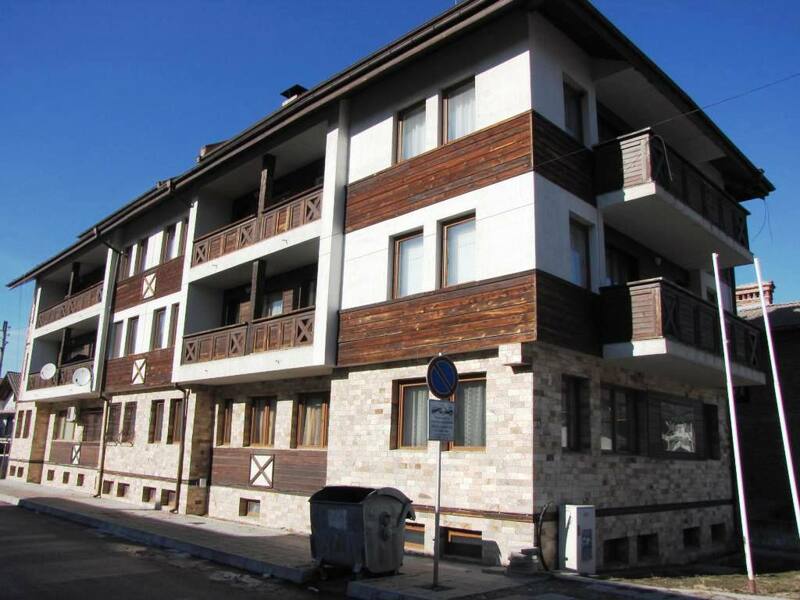 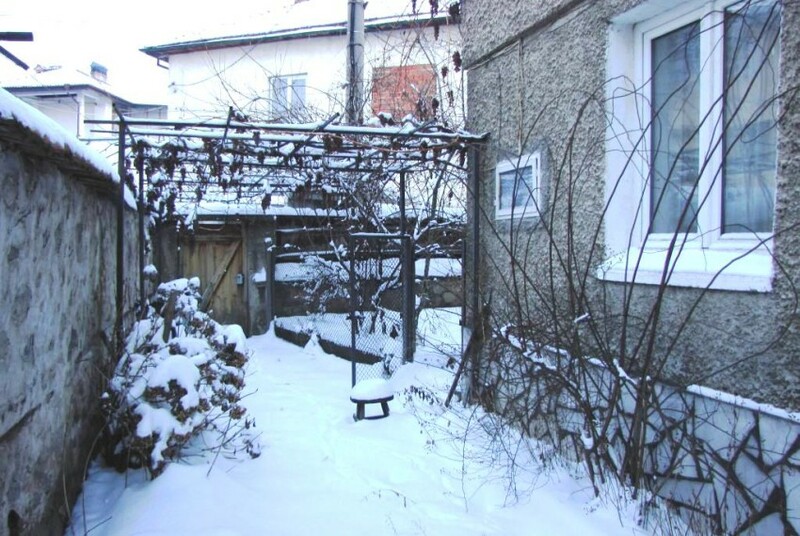 A good property at a good price.